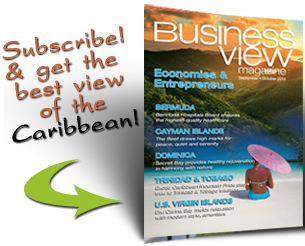 Business View Caribbean interviews Leonard Sands, Chairman of the Bahamian Contractors’ Association, as part of our focus on Caribbean’s best business practices. 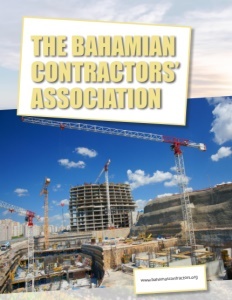 The Bahamian Contractors’ Association (BCA) is a non-profit, membership organization established in 1958, by a group of Bahamian contractors who realized that collaboration and organization of contractors, as well as the adoption of regulation and good practices, were necessary to protect and promote the advancement of the local construction industry. Today, the BCA continues to serve as the representative body for the interests of its members and the construction industry in the Bahamas, in general. As an advocacy group, the Association has been effective in representing the interests of Bahamian contractors in matters regarding international affiliations, trade agreements, foreign competition, and direct foreign investment. It represents the construction industry at Economic Partnership Agreement (EPA) negotiations with the European Union (EU) and at the Coalition of Caribbean Contractors and CARICOM levels. At home, the BCA acts as an interface between developers and local contractors and maintains a continuing dialogue with the Prime Minister’s Office and the Foreign Investment Board. 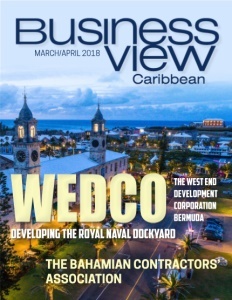 One of its most important domestic endeavors consists in continually lobbying the government for strong implementation of the recently passed and enacted Construction Contractors Act of 2016, which, for the first time, licenses, regulates, and controls the constructing contracting industry in the Bahamas. 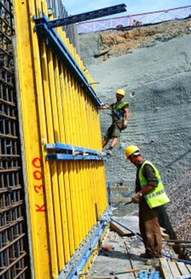 The Act provides for the certification of Bahamian contractors according to their qualifications and scale/scope of work they are capable of undertaking, placing them on a “level playing field” with foreign contractors, and enabling them to better compete for multi-million dollar contracts on foreign direct investment (FDI) projects that come to the Bahamas, because now their capabilities are certified. The Act also includes provisions giving Bahamian consumers means of redress and protection against shoddy workmanship by so-called “cowboy contractors” – something that has been a frequent complaint among residents. BCA membership is comprised of some 500 contractors, specialty subcontractors, and industry associates from across the Bahamian archipelago. With some 9,000 contractors in the country, though, Sands admits that the Association still has a lot of work to do. “We recognize that our reach is not successful,” he states. “That’s why I continue to push and push to get them to see the value of membership. We are the sharing portal of information; the government comes to us and tells us about projects and we share that ‘intel’ with our members so that they can prepare for the opportunity. We’re their learning partner; we put on different training courses, monthly, to train our membership to continue to compete at the best level. “We are the advocate in the Bahamas for all construction in the country; we advocate on behalf of the large contractor when a sizable project is being negotiated with the government and an outside entity. We assist the government to ensure that they remember that there are locals who have invested a lot of money into their companies and can do the work, and they should have an opportunity to bid on large work. So, we advocate, we train, and we create the opportunities by knowing what’s going on in the marketplace.